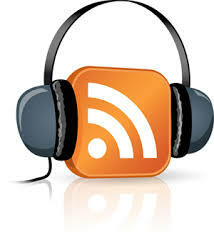 We are the premier source for podcast hosting, management, syndication and publishing of audio and video podcasts. Our realtime pcast conversion system will allow you to convery practly any Audio/Video type into a format that is compatable with iTunes, Window Media Player, PSP’s and other RSS and Poscasting services. PcastBaby.com offers 4 different Accounts that we hope accommodate your needs. podcastIt is never advisable to use your regular web service provider to transfer podcasts. The main reason for this is that podcasts are usually made in the form of audio or video files and have to be transferred and downloaded several times a day. Compared to blogs or other text files, audio and video podcasts can be considerably large and consume a lot of bandwidth. Normal web service providers are neither well-equipped nor obligated to provide you with this service. As a result, you are likely to be charged for violation of terms of service or handed a bill for additional expenses by your service provider. The best way to go about with podcasts is to get a good podcast host. A good podcast host will offer you sufficient bandwidth so that your podcasts can be transferred completely and quickly any number of times a day. A good podcast host will allow you to host your podcast on your website and to stream it over your blog as well. Although there are a number of podcast hosts around such as podbean.com, flumecast.com and bluehost.com, the best host for your podcasts is Podomatic. Podomatic has the largest number of podcasters of any website because of its various benefits and features. Not only does Podomatic allow you to host your podcast but the Minicast feature enables you to make simple podcasts with help from the website. Beginners as well as experienced users can use their photos and audio files to make a free minicast on Podomatic. The website also offers a range of animations and transition effects to accentuate the visual appeal of your podcast. Podomatic then allows you to stream your minicast on your Facebook page simply by posting a hyperlink on your Facebook page. The website guides users through a step by step procedure to make their podcasts. You can upload the media file, give a title to your podcast, add images, select the quality level and proceed towards publishing your podcast all over your social media accounts. It is as simple as that! Podomatic also organizes your podcasts into its database where all podcasts are classified according to topic categories and subcategories. Some of these include Business, Music, Technology and so on. This makes it easier for you and your audience to access and view your podcasts. Podomatic also offers a ranking system where the podcasts are ranked daily in order of increased number of views. This means that the more downloads your podcast gets on a certain day relative to other podcasts, the higher it will be ranked by Podomatic. It also identifies the top podcasts being followed giving you a great opportunity to track the popularity of your podcasts. Although Podomatic is not enabled to allow you to edit your file, it does enable your audience to subscribe to your podcasts and download them on iTunes. Depending on the level and quality of services you want, you can use the free version or the premium version of Podomatic. What will this teenager do next? Find out right now!